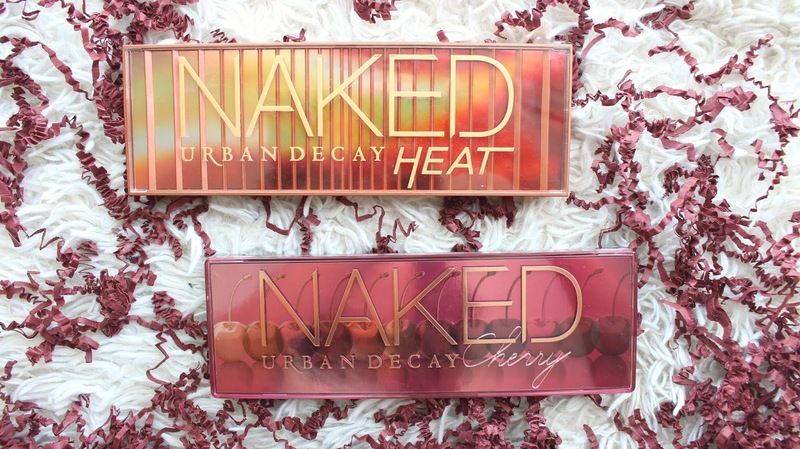 Welcome to the Naked Family, Urban Decay Naked Cherry! 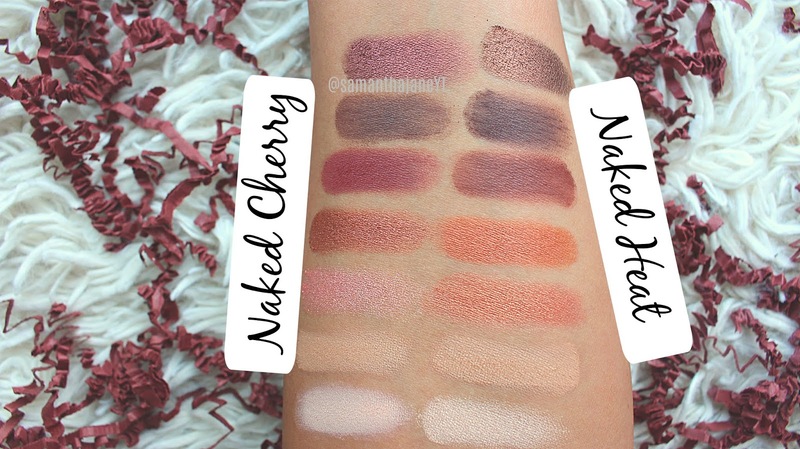 If you'd like to see the swatches of the entire Naked Cherry Palette head to this blog post, it will also be used on my YouTube channel next week. If you'd like to see it swatched next to the Backtalk Palette, I've do that too check out this blog post. I loved the Naked Heat palette, if I'm being honest it was the first Naked palette that really spoke to me. 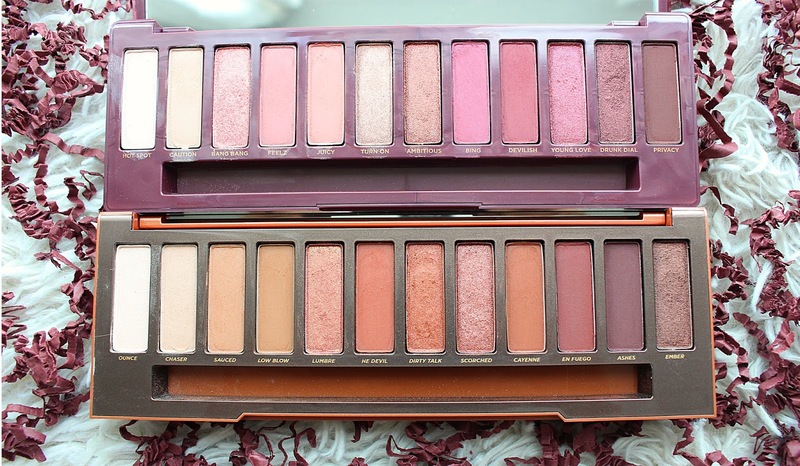 I'm a huge fan of warm tones and mattes, and that palette really gave me both. I wasn't sure about Naked Cherry at first, but when I swatched it I was pleasantly surprised. The mix of shades and finishes is gorgeous, pinks, purple, burgundy, a little peach - I'm into it. 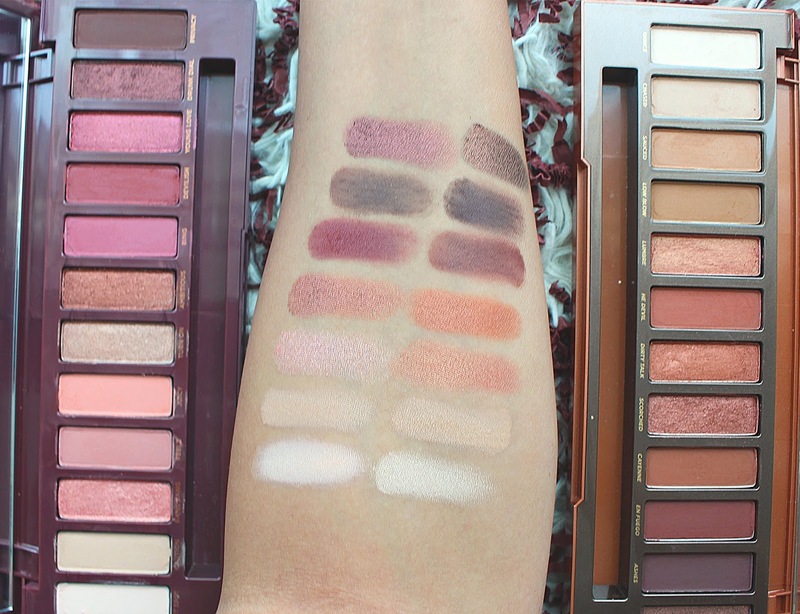 I know they are quite different palettes, but I thought I would swatch them side by side if you needed help deciding on whether you needed either or both of them. Overall, the Naked Heat is a much warmer palette. It has more rusty orange shades, with one purple. The Naked Cherry is much more purple, burgundy, less fiery and warm. It will totally depend on your preferences on which one you want to get but I think they are different enough that you could justify both if you were looking to pick up a new palette. The formula is great, a little powdery but I have no problem with that as long as it's smooth and blendable, which it is.